For nearly twenty years, the Center’s Child Welfare Watch project has focused on vulnerable children, youth and families. The Center tracks the economic and social wellbeing individuals and communities, examines the quality of public services, and offers constructive recommendations for reform. We are particularly interested in how poverty intersects with low-wage work, homelessness, child welfare, and the justice system. This year, our research focuses on the needs of babies and toddlers, efforts to improve the quality of family child care, the City’s continued homeless crisis, and adolescents involved in the justice and foster care systems. 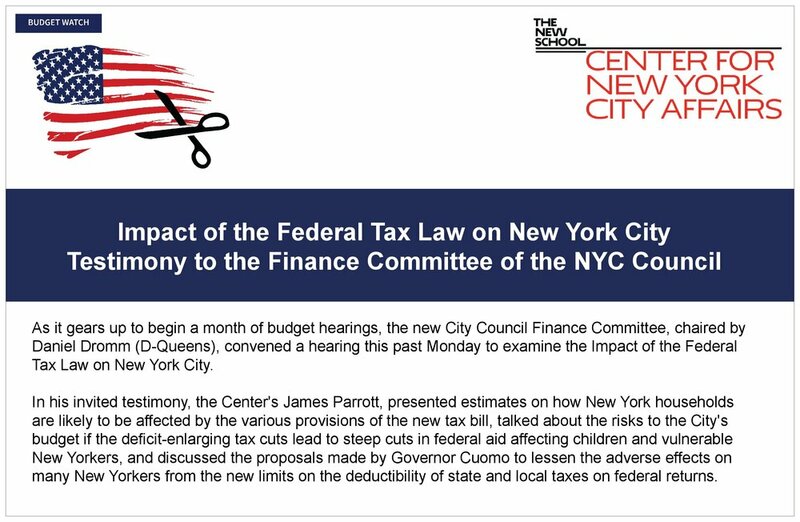 The federal government provides significant funding to localities, including New York City, which is targeted primarily to support children, families, and low-income communities. This support happens through a combination of direct benefits for individuals and families – social safety net programs such as Medicare, Social Security, Medicaid, and the Supplemental Nutrition Assistance Program (SNAP) – and social services categorical funding, which flows through the City budget to help provide services to individuals and families. Some federal funding streams, such as Temporary Assistance to Needy Families (TANF), provide both kinds of funding – direct benefits to families as well as programmatic funding to states and localities. When New York City Mayor Bill de Blasio ran for re-election in 2017 on the ambitious promise of offering free preschool to the city’s 3-year-olds, classes in living rooms were most likely not what he or voters had in mind. But last month, just over a year into 3K’s multi-year rollout, the City Department of Education (DOE) revealed its intention to bring 3K into the more loosely regulated world of home-based child care settings. Our six years of key indicators spotlight trends in New York City’s foster care and preventive services systems. In the poorest neighborhoods of New York City, frontline child welfare workers frequently carry caseloads far above recommended levels. As part of a larger package of reforms, the Administration for Children’s Services (ACS) has taken several steps to bring caseloads down, including hiring hundreds of new caseworkers and offering more opportunities for ongoing training. But caseworkers in the agency's busiest offices say they're struggling--and the chaos spills onto the families they were hired to help. Recent years have brought a series of rapid changes to New York City’s subsidized early education system. There was the massive EarlyLearn reform of 2012, pre-K expansion in 2014, and now the Department of Education's rollout of preschool for 3-year-olds as it prepares to take over responsibility for all City-contracted child care services. In this shifting landscape, trends in enrollment can provide a window into how parents and providers are experiencing the changes. Using point-in-time data obtained by CNYCA, we have identified five key enrollment trends in New York City’s subsidized child care system. Many child care centers have seen their enrollment of 4-year-olds decline due to New York City's pre-K expansion, which has dramatically grown the number of early education options available to kids this age. In response, some centers have become interested in “aging down” to serve younger children. This would be a tremendous boon in New York City, where quality affordable and subsidized infant and toddler care is in high demand and short supply. However, "aging down" is difficult for child care centers. Serving infants and toddlers is more expensive than serving older children and preparing a center to take infants requires a significant investment upfront. This report looks at ways that affordable and subsidized centers who do provide infant care make it work. Even as Governor Andrew Cuomo promises to defend New Yorkers’ health care from federal funding cuts, his proposed budget threatens to kill a long-planned fix to the state’s underfunded, overburdened system of mental health services for children. Keeping Teenagers out of Foster Care: Do Teen-Specialized Services Make a Difference? In 2013, New York City launched an array of programs designed to keep teenagers out of the City’s foster care system. The programs—known collectively as “teen-specialized preventive services”—represent a pivotal piece of the City’s ongoing child welfare reform agenda: to keep whittling down the number of kids who enter foster care by providing intensive, evidence-based therapy to families in crisis. 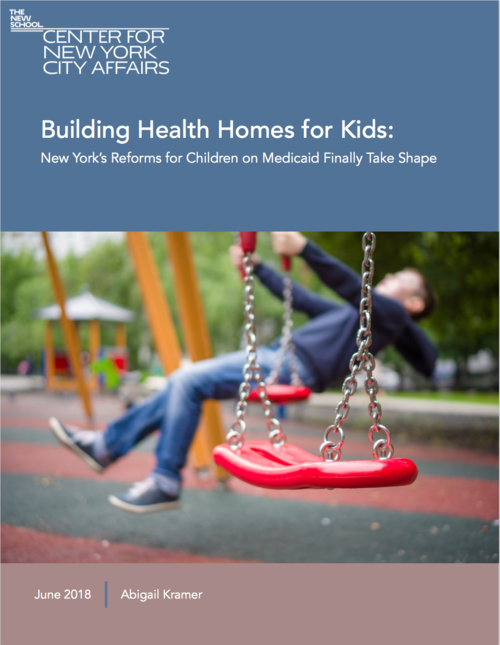 A crisis in children’s health insurance may be coming to New York State. State officials could start sending termination letters to families on its Child Health Plus insurance program as soon as early December—a development that was first reported by Politico, and which would put New York in the company of nearly a dozen other states around the country. IN LATE APRIL Mayor Bill de Blasio announced two new plans that could determine the future of the country’s largest child care system for poor and low-income families. Will the new plans further disrupt a child care system still reeling from challenges that arose from pre-K expansion, including a roughly 20 percent decline in enrollment of 4-year-olds since the expansion? Or might they, present a key opportunity for the DOE to identify and address those challenges? ACS in Overdrive: Since the Death of a Harlem 6-Year-Old, are Fewer Families Getting the Help They Need? After a series of widely publicized child deaths in 2016, New York City's child welfare system continues to struggle under a glut of new cases. In response to a surge in child abuse and neglect reports, the Administration for Children’s Services (ACS) has drastically increased the number of families it brings into the system, filing more cases in Family Court and placing more children in foster care. Caseloads among the workers responsible for investigating and monitoring families are significantly up. Family Court is overwhelmed, exacerbating its chronic problems of delayed and cancelled hearings. And lawyers for ACS-involved parents say that families are sitting on waitlists—sometimes for weeks—for preventive service programs designed to help stabilize and supervise kids' safety at home. In 2012, NYC launched one of the country's largest experiments in raising the quality of subsidized family child care. More than three years since the launch of EarlyLearnNYC, we investigated what has worked and what has not. 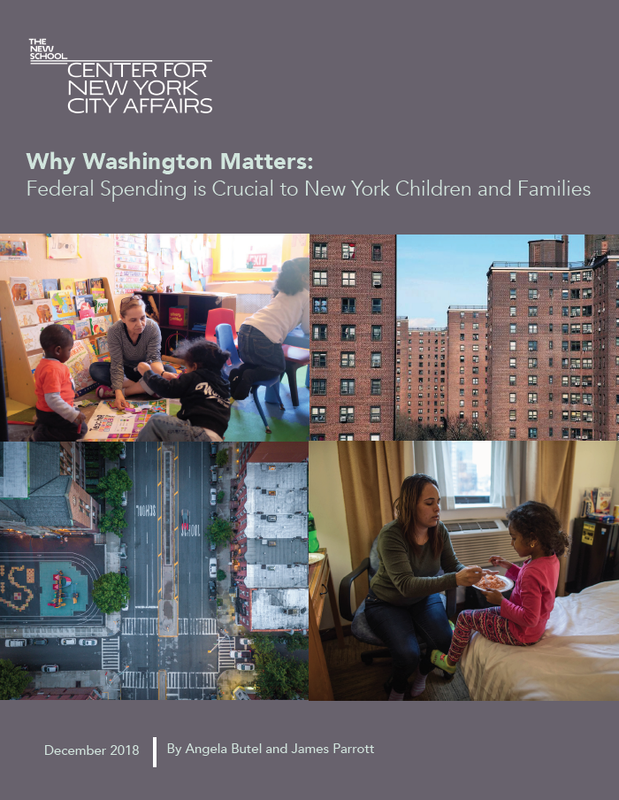 This Child Welfare Watch report describes the stresses that homelessness puts on families with young children, and explores the discontinuity between the large number of young children in the shelter system and the dearth of services available to them.